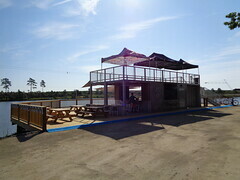 Apex Wake Parks owned by Great White Shark Enterprises already had an awesome plan for a wakeboarder’s paradise! 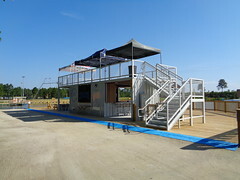 With a 5-tower full-size cable and 2-tower cable system, Shark Wake Park is easy enough for beginners while allowing advanced riders and pros to go as big as they like! 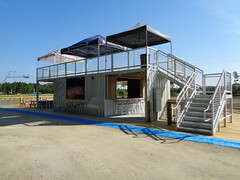 But, spectators needed a place to witness wipe-outs alongside sick flips and riders needed a place to gather after a long day of boarding. 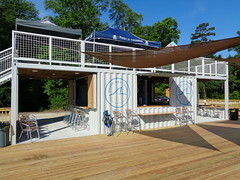 They called us to help them develop a shipping container bar concept called the Shark Shack that could meet the high demand for food, brews, and appeal to the hard-core sensibilities of their action sports clientele. 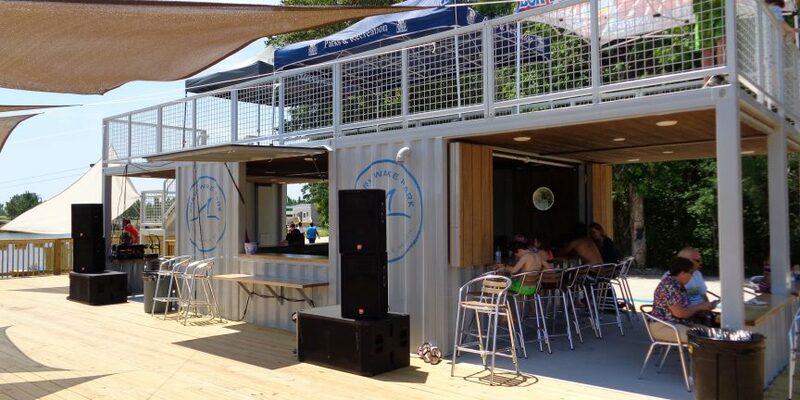 In order to achieve their goals, we purpose built four containers that act as the upper deck, lower front of house and back of house areas. 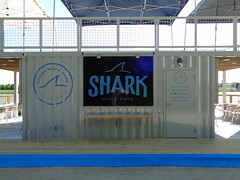 With enough room for 6 kegs and a full-size walk-in freezer, Shark Wake Park’s container bar uses the small footprint to its full advantage. 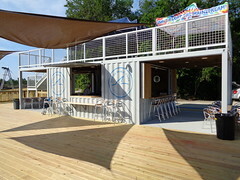 The negative space underneath their patio is perfect for hiding from sunburn while sipping a cold drink and the upper deck is the ideal place to tan that one part of your neck that never sees the sun. 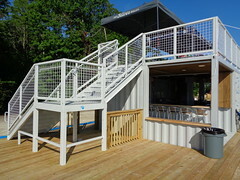 The grey, metal exterior, and modern concrete flooring were imperative for looking cool and staying safe with all the soggy boarders out there. 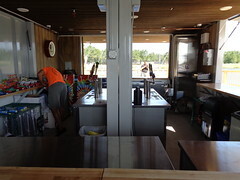 And finally, Shark Shack was finished with wooden bar tops and shudder accents hand-crafted here, in the Boxman Studios warehouse. 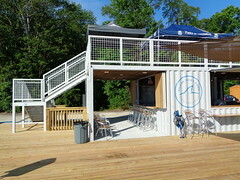 Boxman’s collaboration with Apex Wake Parks was ‘smooth sailing’ from start to finish. 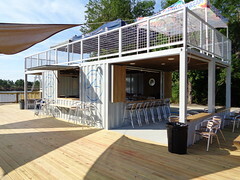 Shark Wake Park has a cool and modern bar that is perfect for their clientele to watch boarders or rest after a lap around the lake and Boxman Studios has another amazing project with another amazing client checked off our list!